Taking the modal shift to a cleaner environment friendly alternative of transportation, Chennai Port has received a rake containing cars of Hyundai Motor India Ltd on 27 & 28 November 2018. 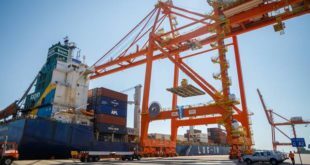 According to a media statement, the rail containing 102 Hyundai Motor India Ltd cars arrived at Chennai port on 27 November, and another 125 cars arrived on 28 November 2018. The Cars were offloaded and taken to the new concreted Parking Yard developed at a cost of Rs. 37 Crores. The space measuring 1,15,000 Sqmtrs can accommodate automobiles, machinery, Over Dimensional Cargo, project cargo in a clean environment. 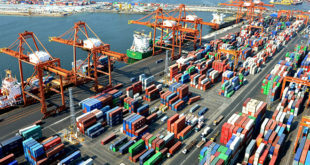 Handling Cars by rails has started a new avenue in the mode of transporting the cargo to the port which is till now received by Car Carrying Trucks through road. This alternative mode of transport by rail is considered as breakthrough as well boon to the car exporting companies to overcome the hurdle of road restriction in the metropolitan during day light hours. 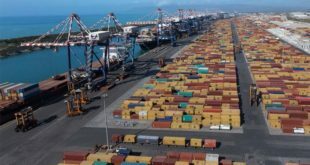 By rail operation the cars can be brought into the port 24 x 7. This will also reduce the dependence on road to move cars to the Port.4,025 Nos. of Hyundai Cars including the cars arrived through rail mode will sail away from port by the vessel M.V.Glovis Sunlight on 2.12.2018. Shri. 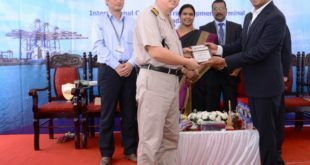 P Raveendran, Chairman, Chennai Port Trust, appreciated M/s. 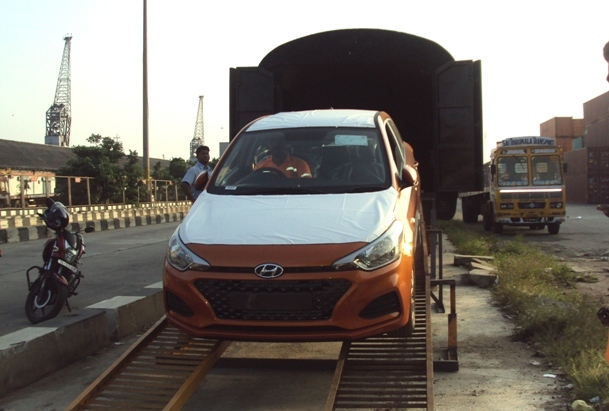 Hyundai Motor India Ltd., in taking this modal shift to a cleaner environment friendly alternative and expressed that this process of handling will reduce the number of vehicular transport significantly and leads to de-congestion on the roadways and also reduces the carbon emission.